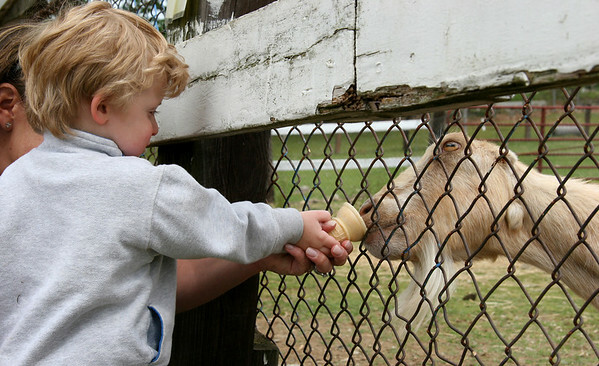 Peabody: Ben Capone, 2, and his babysitter, Denise Borys, fed a goat at Brooksby Farm Tuesday. Photo by Mary Catherine Adams/Salem News. e, Peabody: Ben Capone, 2, and his babysitter, Denise Borys, fed a goat at Brooksby Farm Tuesday. Photo by Mary Catherine Adams/Salem News.